Floral Bow Ties and Floral Pocket Squares, Oh My! When thinking about athletes and fashion, you think the latest active wear from Nike and Under Armour and advertisements with gatorade coming out of their pores as sweat. They live and breathe these products and garments. But what about when they’re not being active? Serena Williams was one of the first to push the relationship between fashion and professional sports on the tennis court. People started paying attention to what athletes wore during the game instead of just how they dressed off the courts. However, college basketball has always required their coaches to wear suits. The sharper you’re dressed, the greater presence you hold on the court and the more respect is demanded for you and your team. While coaching is absolutely the #1 priority for coaches, a well fitted suit that makes a statement comes second. March Madness is about to begin in a couple of weeks, round 1 is on March 18th. It is a time for betting and being glued to the T.V in sports bars rooting for your old colleges. It is also a time to keep an eye on the coaches and how they present themselves. They know this is the season to bring out their best suits and put on their game faces because if their team goes down, so does their wardrobe. The fashion during March Madness is understatedly important that Esquire has even done reviews of the best and worst dressed coaches. Here’s to hoping our coach and client from Illinois State University makes it to the best dressed list, meet Dana Ford. 9tailors was recommended to me by a close friend. So, I checked out the website and liked what I saw. What Would Be Your Style Advice to Men in Your Professional Field? Be clean and sharp, at all times. Jay Wright, Head Coach from Villanova. He always looks nice and sharp. My custom made dress shirt. 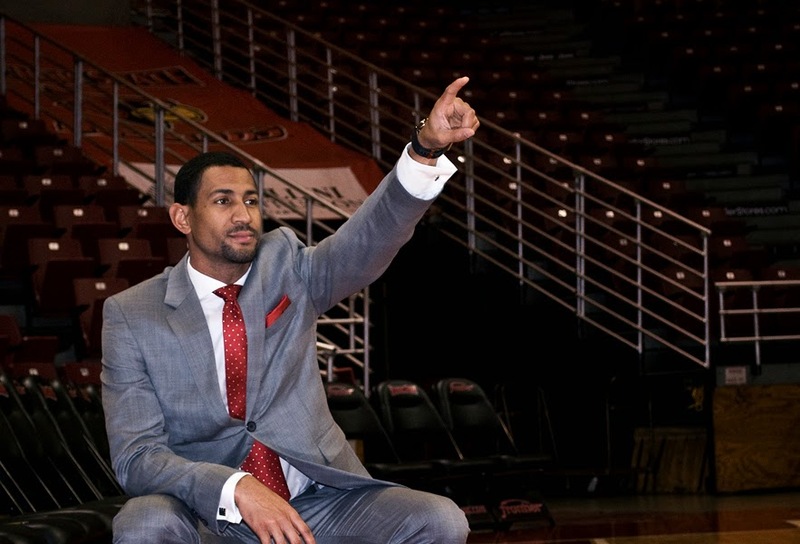 Best of Luck to Dana Ford and his Redbird’s in this year’s March Madness. The man has crisp style and represents his team colors in his tie and pocket square without being overtly obnoxious. He displays the perfect balance between being fashionable and practical. In the mean time, get your brackets ready and set alarms on your smart phones for this year’s schedule, you don’t want to miss out. Interested in getting a custom suit to represent your team spirit? Does your team need matching blazers? Contact a style consultant at info@9tailors.com.